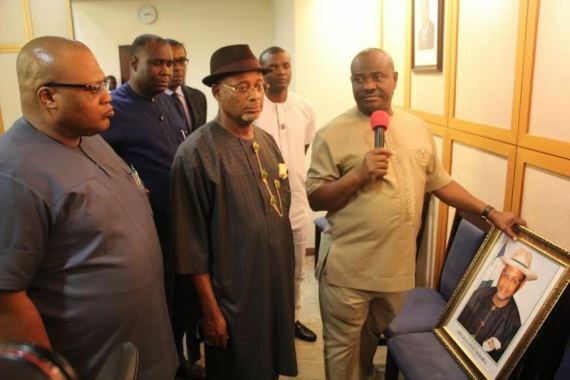 Rivers State Governor, Nyesom Ezenwo Wike has formally restored all the entitlements and benefits of Sir Celestine Omehia as a former Governor of the state. 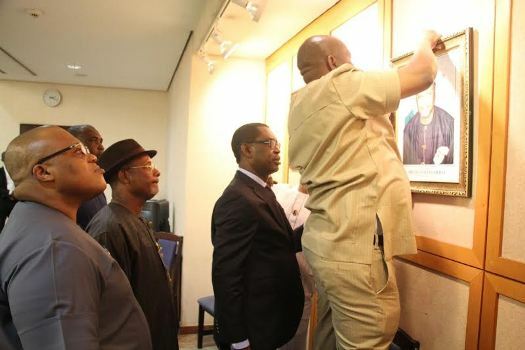 Governor Wike on Thursday also formally reinstated the official portrait of Sir Celestine Omehia amongst the line up of former governors of Rivers State at the Government House, Port Harcourt Executive Council Chamber. Performing the exercise, Governor Wike said that the decision to restore the entitlements and privileges of Omehia as former governor stemmed from the fact that he worked as governor of the state between May 29, 2007 and October 25, 2007, wherein he took decisions on behalf of the State and initiated projects. 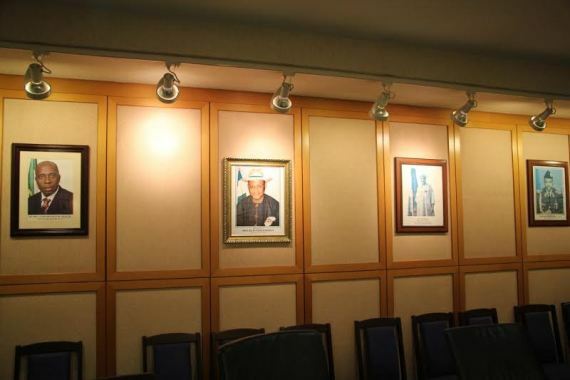 He said: "I hereby put back his official portrait among those of former governors. He is now entitled to the benefits of all former governors ". The governor said that the era of politics of bitterness in Rivers State was effectively over, noting that it was not right to personalise governance as was done by the immediate past administration. 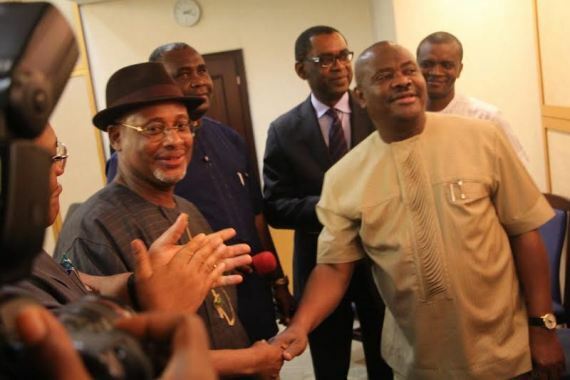 Responding, former Governor of Rivers State, Sir Celestine Omehia described Thursday as the most historic day of his political career. He said that the restoration of his rights as a former goveenor indicates that his dark political days are over. The event was witnessed by the Secretary to Rivers State Government, Kenneth Kobani, Rivers State Housing Commissioner, Barrister Emma Okah and the State Attorney-General, Chinwe Aguma. Simeon Nwakaudu, June 25, 2015. Government House, Port Harcourt.